Badger Hollow solar is in the news. Badger Hollow is central station solar — what a bad idea. Plan is to get a permit, and turn around and sell project to utilities. BUT they’re only selling 1/2 of it, don’t have target for remaining half! Lock us into utility control for 30-50 years? Spend money on transmission interconnection construction, network upgrades, and transmission service (added to cost of solar! ), and connecting into new unneeded high voltage transmission a la Cardinal-Hickory Creek? AAAARGH. The state should require brownfield siting. Nuclear and coal plant sites! Every government building, schools, hospitals, town halls! Partnerships with big box retail, covering the roof of every Walmart would put a huge dent in need. Hasn’t there been news of abandoned silica sand mines? There ya go, another siting option. But it’s all about control, utilities want to be the ones owning and selling and more than that, utilities want to get the higher returns for construction capital costs. Yes, just follow the money. SHAME! p.s. “BIG” — this project is 300 MW, covering 2,500-3,000 acres of prime farmland, biggest in Midwest, and one of biggest in the nation. 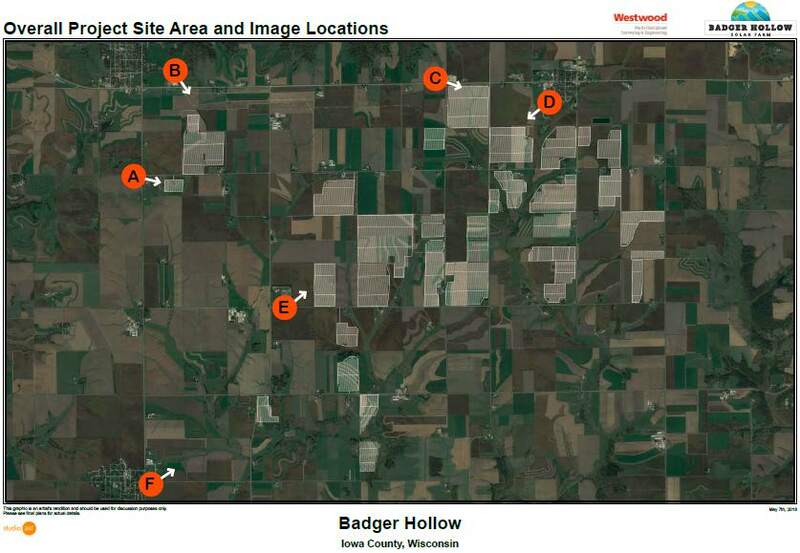 In Wisconsin, the 300-megawatt project, which the company says could power about 77,000 homes, is envisioned for 3,500 acres of prime agricultural land. It is dividing the area’s farming community, pitting neighbor against neighbor in the county of about 24,000 people. The Bishops are among several local farmers who plan to lease a checkerboard of parcels between Cobb and Montfort to Invenergy. Litchfield said the project will be visually unobtrusive, and the farm’s inverters would make only a low humming noise.